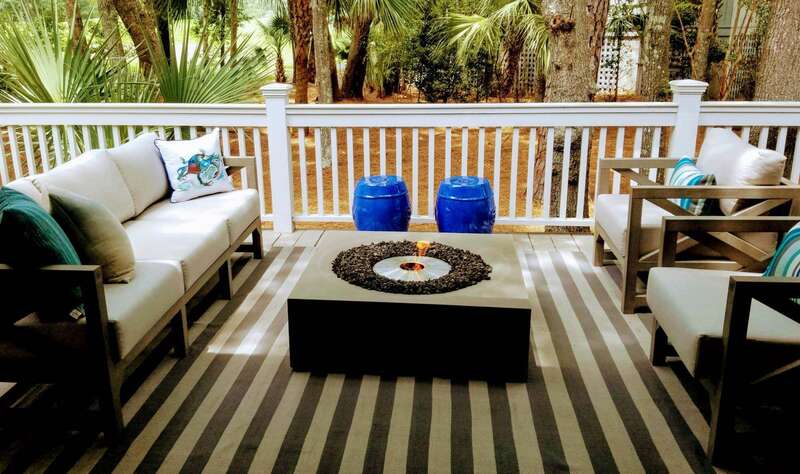 So you’ve just had coffee with a friend who’s raving about her latest Kiawah Island escape. Or maybe you spent the morning drooling over social media photos of Kiawah’s amazing beach, lowcountry charm, and coastal cuisine. Either way—now you can’t stop thinking about your own laid-back week on Kiawah’s shore. But why is this place so special? What exactly is “lowcountry”? And, just where is Kiawah Island? Read on to find out. When it comes to your vacation, climate is a big concern. Head too far north and you could spend your trip shivering on the windy shore. Go too far south and you might spend the whole day blasting the AC while you watch the waves from your living room. Not at Kiawah Island! Conveniently located halfway up the eastern seaboard—Kiawah Island offers the “just right” climate for the perfect beach getaway. Low on sea level but high on fun—that about sums it up. Okay, geographically speaking, lowcountry is an area of Carolina coastline stretching from Pawleys Island in South Carolina to the Savannah River at the Georgia state line. Known for its marshlands, preserved ecosystems, and a coastal cuisine rich in Caribbean and African influences, the lowcountry offers visitors an unparalleled array of cultural and natural encounters. A beach vacation with a little Kiawah character to boot? Yes, please! Lazing away with your toes in the sand might be just what the doctor ordered, but an easy day trip can add the perfect dash of spice to your relaxing vacation. Thankfully, you’re just 45 minutes from all the charm and southern comforts of Charleston. Spend the day wandering the historic streets, take a walking tour of the city’s striking cemeteries and churches, and sample the local cuisine. Top off the experience by making a wish at the Pineapple Fountain. Other nearby sights include Magnolia Plantation, Middleton Place, and Draytonn Hal (all are about a 45-minute drive from Kiawah island). For something truly unique, visit the Charleston Tea Plantation—the only tea plantation in North America—where you can see thousands of tea bushes on acres of gorgeous land, not to mention sample the delicacies (about a 40-minute drive). Love nature and trivia? At an estimated 400 to 500 years “young,” Angel Oak is believed to be America’s oldest living thing east of the Mississippi River, and you can see it with your own eyes on nearby John’s Island—just 25 minutes away. Now you’re intrigued. But how easy is it to get to Kiawah Island? If you’re thinking of driving from the East or even the Midwest, it’s as simple as packing up the car, popping the kids in their car seats, and off you go! No need to bother with making extra hotel reservations or wasting two days in the car. Whether you’re heading from Boston, Cleveland, or somewhere in between, you’ll be watching the waves crash by sunset. Where is Kiawah Island? Show Me the Way! If you’re heading South from Northern New England, try to avoid 95 as much as possible. We recommend taking the Saw Mill Parkway to 684/84S. As you’re leaving New York, cross over the Tappen Zee Bridge, then go south onto 287 to 78W. Hold tight through Pennsylvania and then jump on 81S to 77S. In Columbia, you’ll take 26S to Charleston. From there, simply follow US 17 and State Road S-10-20 will lead you to the Kiawah Island Parkway. From Ohio and the Midwest: Take 75S to 640E and then 40E toward Asheville. Then simply head south on 26 until you hit Charleston. Hop on US-17S for a few miles, then take State Rd S-10-20 all the way to the Kiawah Island Parkway. If you’re coming from the west, or just want to get here as quickly as possible (we can’t blame you for that!) Charleston’s renovated and expanded International Airport offers nonstop flights from 18 US cities and Canada, as well as quick connections in Atlanta and Charlotte. Kiawah Island is just a 30-mile drive from the airport. We recommend that you rent a car as a round trip taxi, Uber or Lyft ride will cost you about the same. Plus, it’s nice to have a car while you are on Kiawah Island so you can take one or more of the above mentioned day trips. 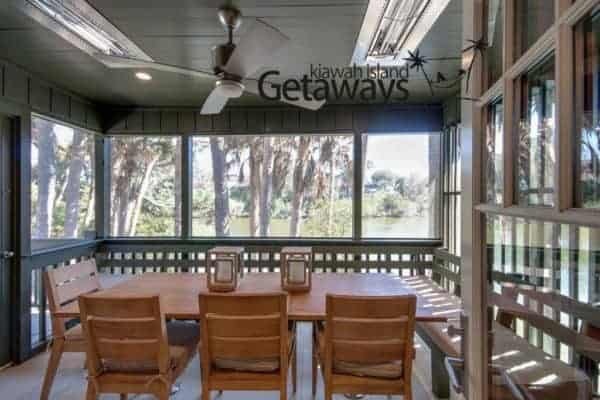 Where Should I Stay on Kiawah Island? Now that you know where Kiawah Island is and you’ve seen just how easy it is to get here, you want to know the answer to the most important question: Where do I stay once I get to Kiawah island? The answer is easy: Look no further than Kiawah Island Getaways. Take a peek at our lovingly appointed villas, each complete with a beach or scenic view. We can’t wait to see you here! Intimate gathering or blowout bash? Live music or DJ? Chocolate cake or vanilla? Anyone who’s planned a wedding knows the choices can seem endless. And one of the first—and maybe toughest—choices you’ll make is where to host the event. If your heart is set on a Kiawah Island wedding, we can make finding the perfect venue a little easier. 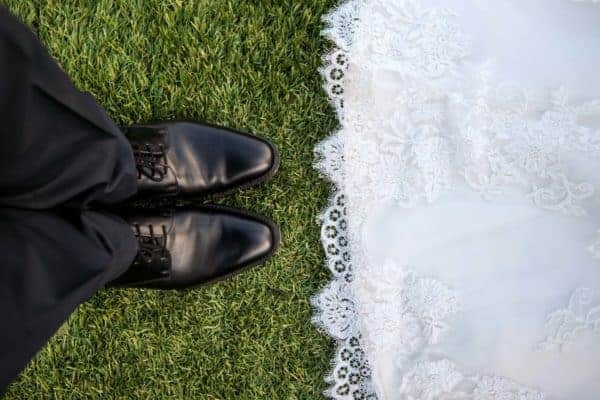 Whether you dream of saying your “I do’s” barefoot on the sand or in a classic ballroom with a string quartet playing in the background, Kiawah Island offers something extraordinary for every couple’s big day. Waves crash in the background and the scent of saltwater lingers on the air. A small crowd gathers as the sun casts a golden hue and specks of light glisten on the Atlantic. Sound amazing? There’s something truly magical about a beach ceremony. With miles of breathtaking shoreline, far from the crowds, it’s easy to make your Kiawah Island wedding fantasy a reality. Call (800) 654-2924 to speak to a professional wedding planner. The Sanctuary’s Grand Lawn is an ideal spot for ceremonies, cocktails, and receptions. A lush green expanse overlooks the Atlantic and a private beach creating a spectacular backdrop for your special day. No matter if your group is large or small, you can adjust the space to meet your needs. Terrace Ballroom: French doors open to a courtyard with stunning views of the Grand Lawn and the Atlantic beyond. Let your guests dance the night away as ocean breezes waft through this 2,880 sq. ft. space. Keep the party going in one big room or split in two for a more intimate experience. Heron Room: Perfect for mid-sized receptions, this 1,853 sq. ft. room can be divided into two smaller spaces. Have the ceremony in one, then move next door for cocktails before the formal reception. With flexible spaces, the possibilities are endless. Grand Oaks Ballroom: At 6,050 sq. ft., The Sanctuary’s largest indoor venue can be split into four quarters. Opening to a garden patio, your guests can mingle indoors and out. Enjoy live music and drinks al fresco, then move inside for an elegant sit-down dinner. Your day; your way. The Clubhouse at Osprey Point: Tucked among live oaks, this lagoon-side venue features a spacious veranda and intimate dining rooms. The Clubhouse at Turtle Point: A wraparound veranda and sophisticated ballroom are just two reasons to check out this idyllic space. Perfect for pre-reception cocktails. The Ocean Course Clubhouse: With 3,000 feet of adaptable space, the newest venue on the list overlooks the 18th green and boasts jaw-dropping ocean views. 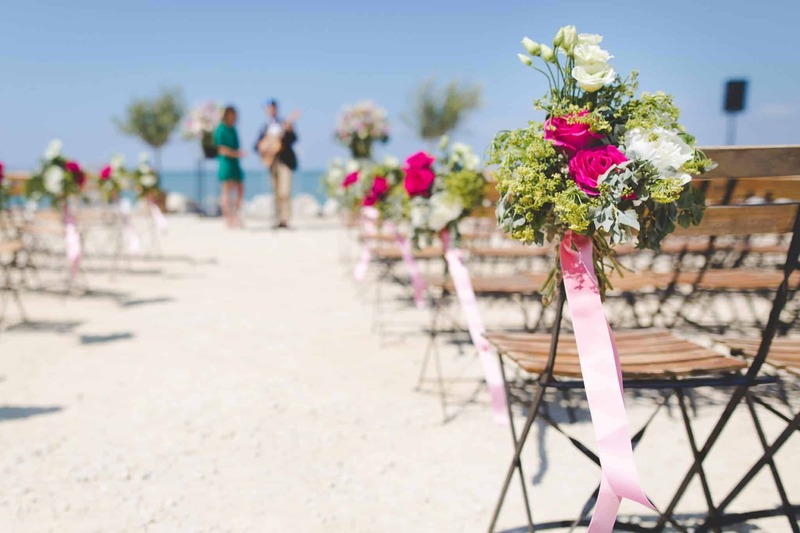 If you’re lucky enough to have friends on the island, you can also make arrangements to host your Kiawah Island wedding at one of the privately owned venues, including The Sandcastle and The Beach Club. At The Breeze at Seascape, your guests will find a beautifully renovated space with a huge oceanfront deck and four bedrooms. Perfect for a family with young children. With custom-designed interiors and stunning panoramic ocean views, The Penthouse at Windswept is one of most sought-after villas. Mother of the bride and up to five other guests will be thrilled to call this spot home. The Surf Shack at Sparrow Pond is a four-bedroom cottage right on the lagoon. The gourmet kitchen, vaulted ceilings, and shiplap walls raise the word “shack” to a whole new level. Big enough for the whole wedding party. For luxury accommodations with a splash of southern comfort, check out The Shell Seeker at Sparrow Pond. 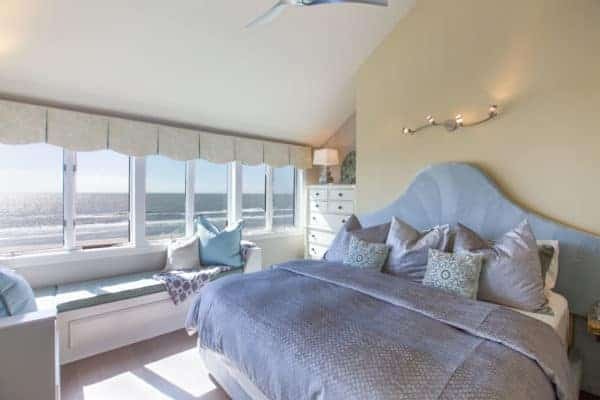 This beach cottage features two master suites, a third queen bedroom, cozy-chic décor, and a screened-in porch that’s sure to help anyone on your guest list unwind. 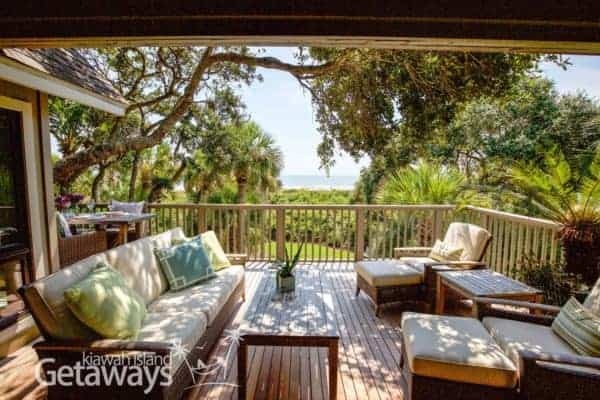 For more southern charm, The Sea Shell at Oceanwoods offers an upscale cottage feel with three bedrooms, a stunning kitchen, and a screened-in porch. A gorgeous deck overlooking the golf course and lagoon, exposed wooden beams, and dusky blue accents make The vV at Turtle Point a special spot for the special people in your life. With three bedrooms and a den, this space is ideal for a pair of families with children. To book directly or check out other accommodations, visit our rental listings. Did you know Conde Nast Traveler readers voted Kiawah Island as the 2017 No. 2 Island in the world, and Charleston, South Carolina as the 2016 No.1 City in the World? With its majestic beach, award-winning golf courses, meandering bike trails, and proximity to Charleston, we’re not surprised the secret’s out about Kiawah Island. As long-time island residents, we have the inside scoop on the area’s best day trips, restaurants, and outings. Here are 7 reasons why Kiawah Island should be your destination on your next South Carolina vacation! Picture hard-packed sand (perfect for biking on!) and gentle waves. A serene nap under the umbrella while the sun kisses your toes. When it comes to sunbathing, bodysurfing, or exploring the natural beauty of tidal inlets, every option is a here in Kiawah Island. “Dr. Beach” listed Kiawah Island’s Beachwalker Park as one of America’s Top 10 Beaches of 2018 in Forbes. Our beach has also been applauded in Travel + Leisure and Coastal Living. 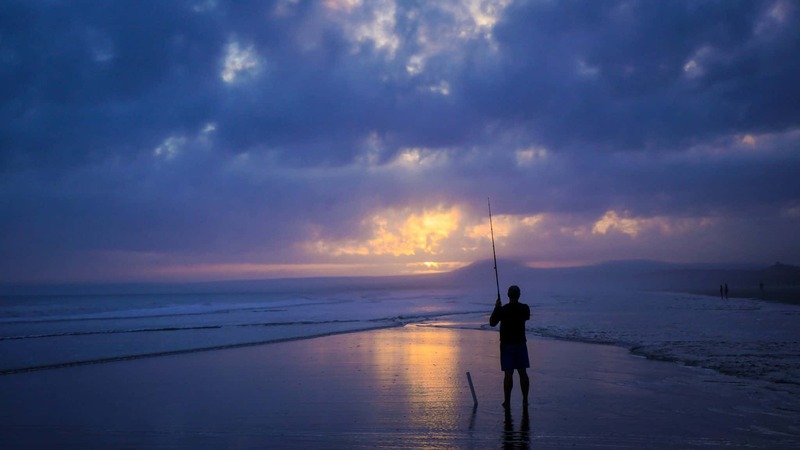 From naturalist tours to glass fusing classes to surf lessons, there’s always something fun to try on Kiawah Island. Some of the things we’re looking forward to this summer include Dolphin Encounters at Mingo Point, “Dive-In” Movie Night at Heron Pool, and Moonlight Yoga on the beach near the Sanctuary. There’s lots for the kids to do as well — Teen Night at Night Heron Park includes Capture the Flag, bonfires, and marshmallow toasting, and Bohicket Marina hosts a thrilling Pirate Adventure cruise the whole family will love. There’s so much for the whole family to do on the Island, and plenty for just the kids while you enjoy a romantic lunch or trip to the spa. Kamp Kiawah offers everything from arts and crafts and swimming to motorboat trips and Ninja Warrior courses. Hit the beach for an epic sandcastle competition. 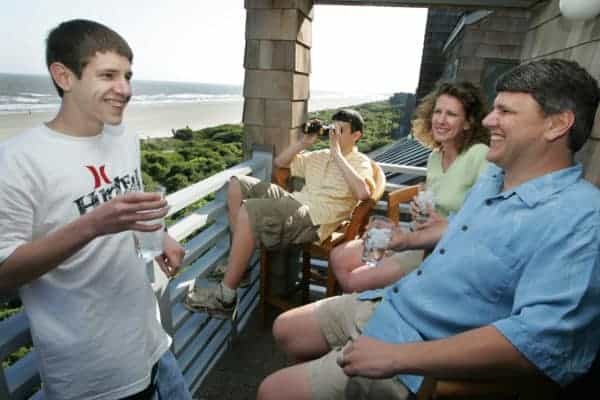 Mingo Point’s Oyster Roast and BBQ is a family favorite—follow up your delicious dinner with a sweet old-fashioned sundae at Vincent’s Drug Store. Downtown Charleston is only a 45-minute drive from Kiawah Island. There you’ll find historic streets and some of the best food on the East Coast. Taste Gullah-inspired cuisine, fresh seafood, and traditional Southern fare at countless restaurants and cafes. 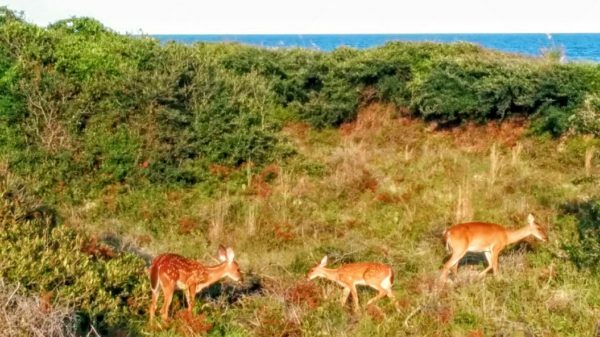 Kiawah’s diverse ecosystems make the Island a prime place to spot river otters, deer, osprey, Bob cat and more. Contact Kiawah Island Turtle Patrol for a sea turtle experience from May through October. Bird lovers, grab your binoculars and book a trip with Back Island Birding. 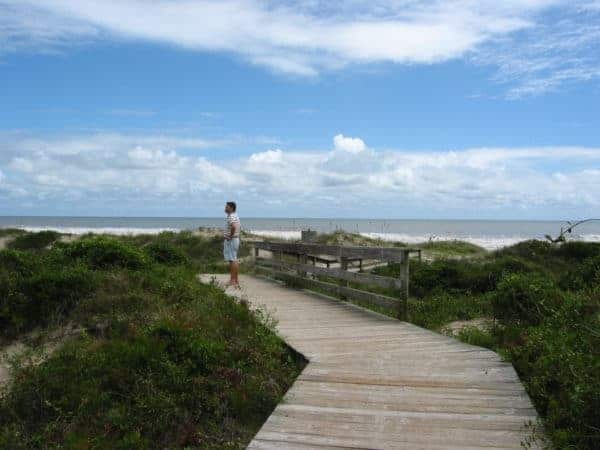 There are over 30 miles of paved bike trails to explore on Kiawah Island, and 10 miles of pristine, bike-friendly beach. Check out our map detailing all the local bike paths to plan a trek along the Atlantic or around wildlife-rich Night Heron Park. Kiawah Island is a golf-lover’s dream. Five public courses offer an array of challenges — Turtle Point requires accuracy while success at Oak Point relies on strategy. 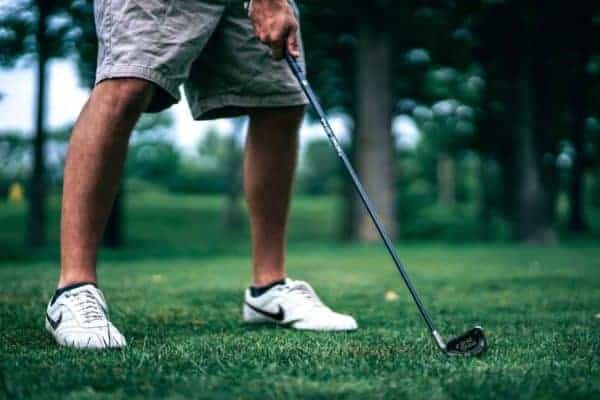 Family golf outings are available at Osprey, Cougar, Turtle, and Oak Points in the summer and around the Christmas and Easter holidays. The holes are 250 yards long or less, and tee times are spaced out for added practice time. Book a family session by calling (843) 266-4050. 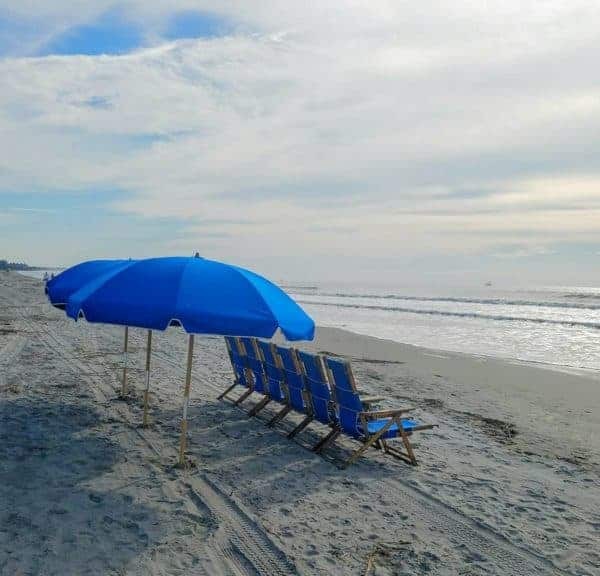 However you decide to spend your South Carolina vacation, we offer over a dozen oceanfront and scenic-view rentals along picturesque Kiawah Island. We promise high-end accommodations, indoor and outdoor living space, and excellent service for the whole family. Learn more and book here.